Love a bit of detail or a point of difference in an interior. 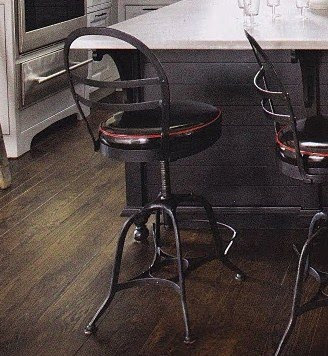 I have zoomed in on the object of my interest here - the little leg and detailing on the big kitchen bench. The little turned foot on this island bench lets it touch the floor lightly which offsets its massive proportion in the room. Like the wooden floor and the lights also. 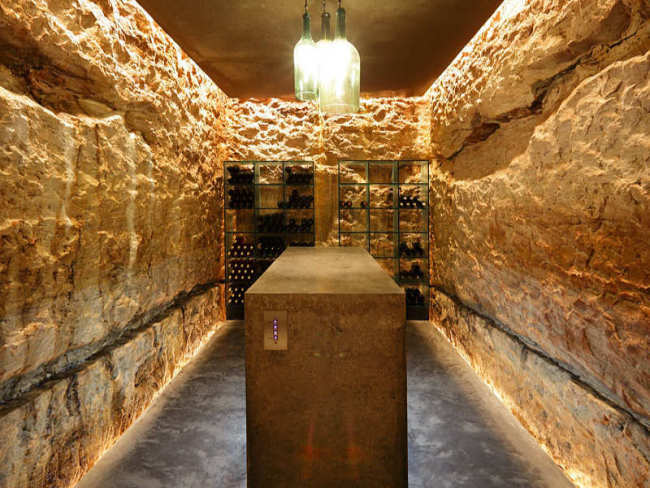 In the spirit of Father's Day (today in Australia) I have trawled my image library for something suitably male and this wine cellar is the best I have. I have explained before I think that much of Sydney is built on sandstone so in older areas houses have beautiful foundations. 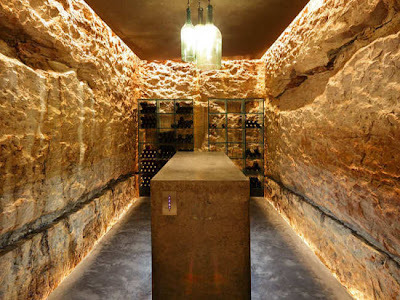 In most cases under the house is pretty dark and damp and you need to watch out for dangerous spiders so this wine cellar is fairly exceptional. 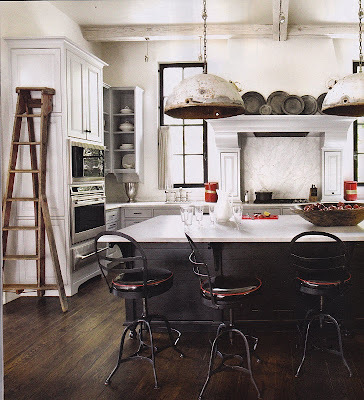 Love the clever lighting around the floor and the wine bottle pendant. If I had this in my house I would put a big glass door on the cellar so that you could see in and enjoy the sandstone all the time. I was at a fun session last night on styling living and dining rooms at Freedom. One of our teachers is an interior designer for Freedom and has a lot of experience in merchandising. Although I was listening in class my eyes were wandering and spotted this little desk lamp which has very pleasing proportions and is reasonably priced at $99. 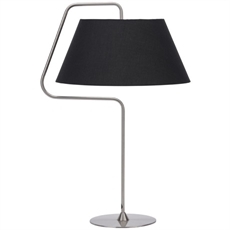 There is also a standard lamp in a similar design.